Residential Wind Energy Production: Can It WORK for You? Wind is a form of solar energy. It is basically a kinetic energy that is converted into electricity by the wind energy turbines. Amongst the various applications of wind energy turbines, residential wind energy production is becoming the most popular one by the day. Installed on top of tall towers, a residential wind turbine collects the motion energy from the fast wind to convert it into electrical power that is linkable to the household electrical system. Although a residential wind energy production system is a low-scale set-up, an IOU or investor-owned utility is required along with a wind turbine in order to run the system at a comparatively lower rate. A minimum of 7-10 miles per hour wind speed is required for the whole set-up to run smoothly and capture all the power needed from the win d energy alone. A lower wind speed however, results in no power output from the wind energy turbine and thus all the required power has to be purchased from the utility. Gradually as the wind speed increases, the wind turbine output also improves thereby decreasing the amount of power purchased from the investor-owned utility proportionately. In case the wind speed is higher for a longer period of time, the extra power generated by the wind energy turbine than required by the household is traded to the investor-owned utility. This whole mechanism is set-up to function automatically since the modern residential wind energy production systems do not involve the usage of batteries. The question as to whether at all the residential wind energy turbines save money and are worth the effort is quite a valid one. And the answer is it is 100% worthwhile as the residential wind turbines save as much as 50-90% of your electric bill. However these numbers vary with the obvious factors like the average speed of wind at that particular locality, the amount of electricity consumed by the household and of course the cost involved in the wind turbine set-up. Usually the amount of electricity consumed in homes on a yearly basis ranges from 9000-9,500 kilowatt- hours. This requirement is easily fulfilled by a wind turbine rated in a span of 5-15 kilowatts, the other factors like wind speed and altitude of the place being considered. How economic and environ-friendly is the wind turbine? Although reducing the electricity bill by more than 80%, there are several other agents affecting the economy of a residential wind turbine. When the economics of residential wind turbines are involved the average wind speed of an area is the most sensitive factor involved as the whole system banks upon this involuntary phenomenon. The thumb rule of financing a residential wind turbine is to ensure a minimum wind sped of 10 miles per hour and a payment of a maximum of 10 cents per kilowatt-hour for the electricity produced. Speaking about the environmental aspect, residential wind turbines can be installed with a complete reassurance of NOT polluting the environment with greenhouse gases and other air pollutants like the conventional power plants. Rather residential wind energy generators countervail the air pollution that the investor-owned utility would have caused. Studies indicate the off-set of decent amounts of air pollutants (nearly 1.2 tons) and greenhouse gases (about 200 tons) by the small residential wind turbines. 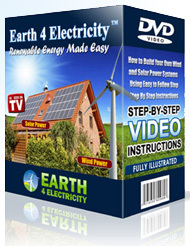 How rewarding setting up a residential wind turbine could be? Apart from the financial and environmental advantages, residential wind energy production has various other potential profits. A very assuring fact about this so-called huge set-up is that one does not have to change any appliances or electrical wiring of his house and a residential wind turbine is usually fitted virtually to the house with an additional utility meter to assess the additional amount of electricity derived from the turbine owner. Also a residential wind turbine makes much less noise than any home appliances like the washing machine or the music systems. Amazingly enough residential wind turbines do not interfere with the television transmission efficiency as wrongly believed by most people. Coming to the cost and maintenance of residential wind energy generators, an average of $6,000 to $20,000 is enough to install one and run automatically which really do not need any servicing for at least 20 years. Yes, that’s a fantabulous concept indeed to save your environs that’s easy on your pocket as well.